More than 100 years after its composition, On the Hills of Manchuria Waltz remains widely popular in Russia, and was featured in the 1999 American film Onegin, starring Ralph Fiennes. It was written by Ilya Shatrov, a bandmaster of the Russian Mokshansky regimental orchestra during the Russian-Japanese war of 1904-1905. 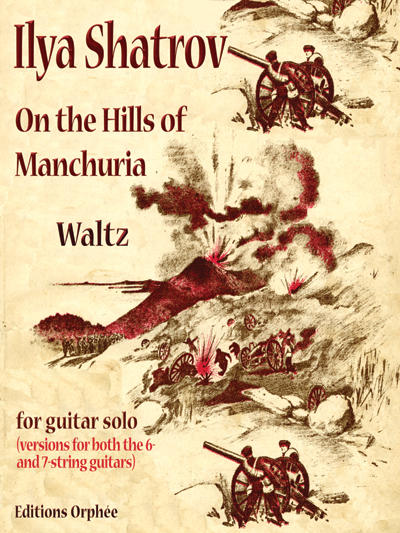 The waltz was published in many different forms after the war, but this version for guitar is based on an arrangement for the Russian seven-string guitar, made by Alexander Soloviov in the late 19th century. While only moderately difficult, this arrangement expresses intense melodic emotion, evoking nationalism and pride. For intermediate players.